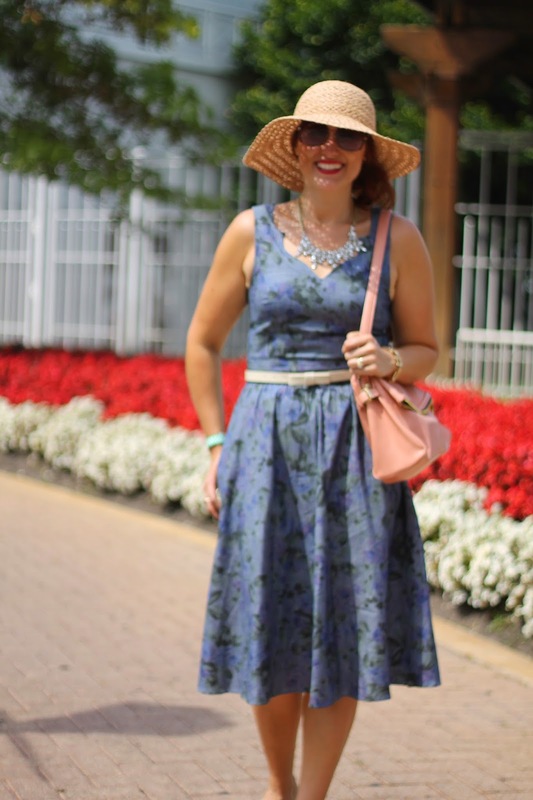 Thanks to Americas Best Racing my friends and I were able to attend the Arlington Million and enjoy a beautiful day at the races. As I've mentioned before, my dad used to be in the horse racing business so he was super excited to join us! My family goes to Arlington every year for Father's Day so it was interesting to be there for a different event with friends. 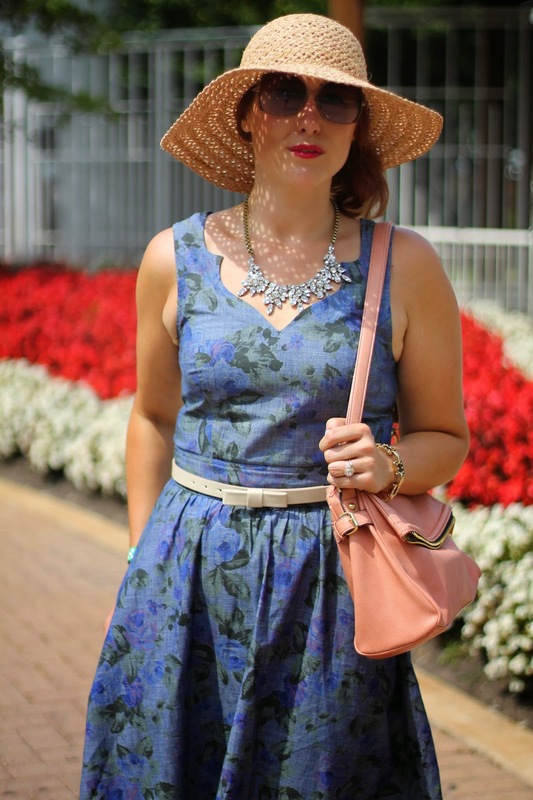 The Arlington Million is one of the biggest days of the year there and I'm so happy I was invited to spend the day there. They even had a best dressed lady contest which we unfortunately showed up to late and missed it but there were some seriously killer hats on the finalists! Lucky for me I had the perfect dress for the occasion. 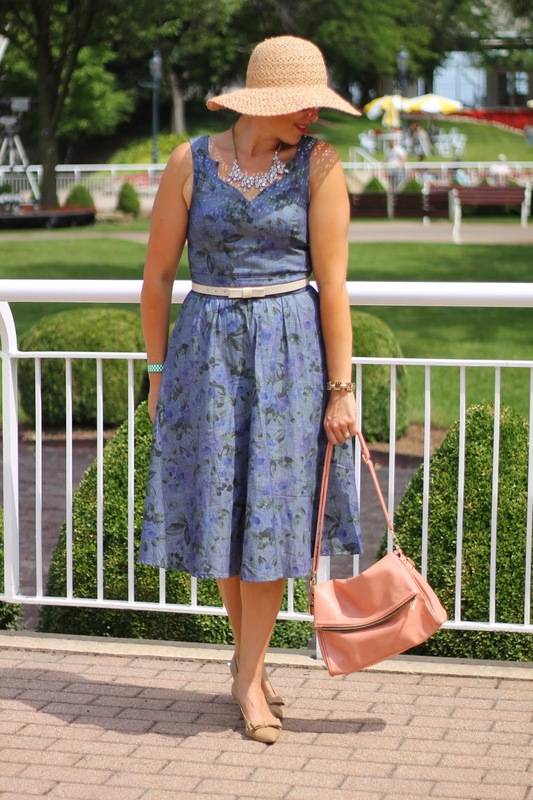 I had been saving this Eshakti floral chambray midi dress they sent over to me specifically for this day. 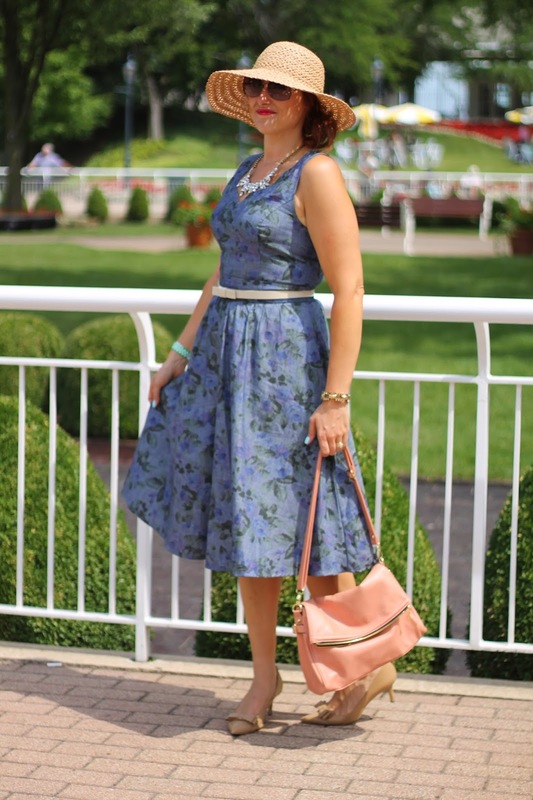 If you are not familiar with Eshakti, they basically make a dress that is perfectly fitted for YOUR body! With my height I often have issues with dresses being way too short so the fact that you can choose the length is pretty genius. You can pretty much customize everything about all their items! I suggest you check them out! 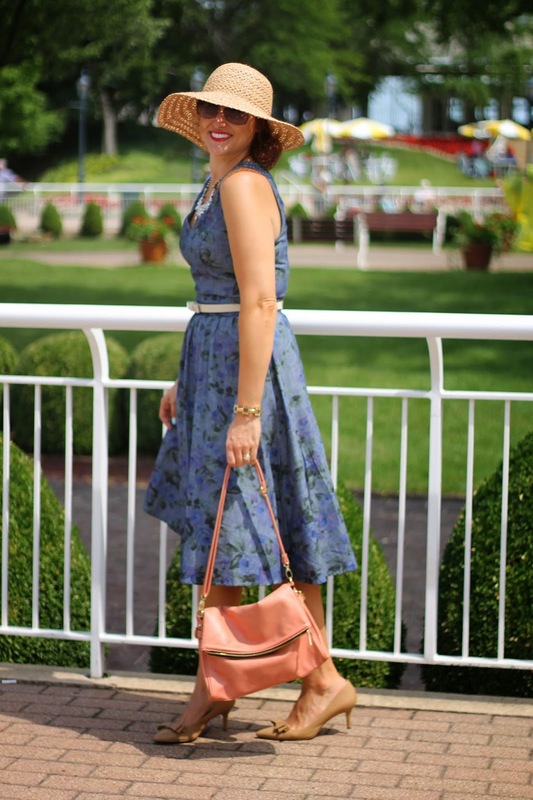 Shop a few of my favorites Eshakti pieces and all of our outfits here! What a cute dress! I am crazy over that neckline! I agree! I have nothing like it which was kind of it's selling point. You should check out some of their dresses right now! Lots of cute ones right now! Hope your'e enjoying the holiday! you ladies look ADORABLE! and i love your full dress- you look so classy :) It's too bad you just missed the best dressed contest- I'm sure you would've killed it. Though I'm super curious to see what other hats were on site! That looks like fun. I have been thinking about making a trip out to Arlington Race Track. My company has tickets so I could take some clients there - I guess it's just a matter of finding the time! Is it good for kids? And so fun about the dress.